Oh look, you're crying as hard as you were during the movie!! The stars of our favorite sob-inducing film reunited at the 75th Golden Globe Awards and the Internet—or at least anyone/everyone who has even the most tangential understanding of the book-turned-movie—can't contain its excitement. 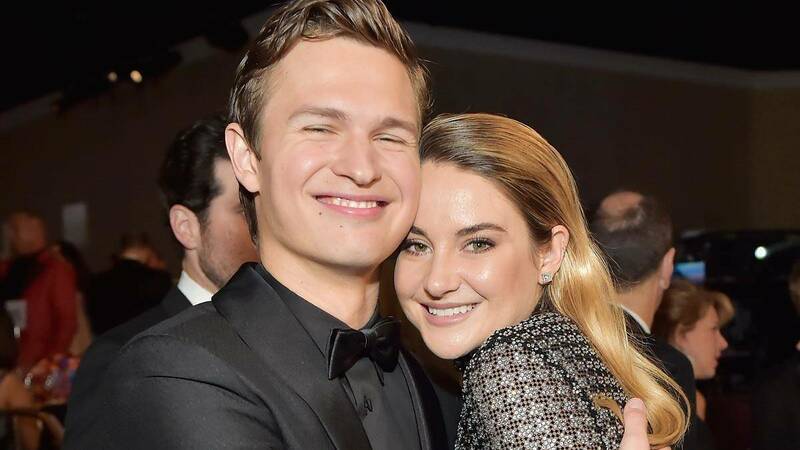 The Fault in Our Stars actors Shailene Woodley and Ansel Elgort seemingly reenacted an on-set photo from 2013 and shared a big hug. And Ansel in particular looked so happy it was like he was hugging a burrito. Woodley was nominated for her supporting role in Big Little Lies; Elgort for his leading role in Baby Driver. Sadly, neither of them won their categories, but it’s okay because we got this picture to remind us of better days. (And they got to hug each other, so I'm sure they were both fine too.) Look at all the love overflowing on Twitter, and goodness knows Twitter is rarely a loved-up place?! Earlier in the evening, Woodley paused during an interview with her activist guest Calina Lawrence to wave across the carpet and say, “Hi, Ansel!” And it was lovely! Woodley and Elgort weren’t the only two to take former co-stars us down memory lane last night. 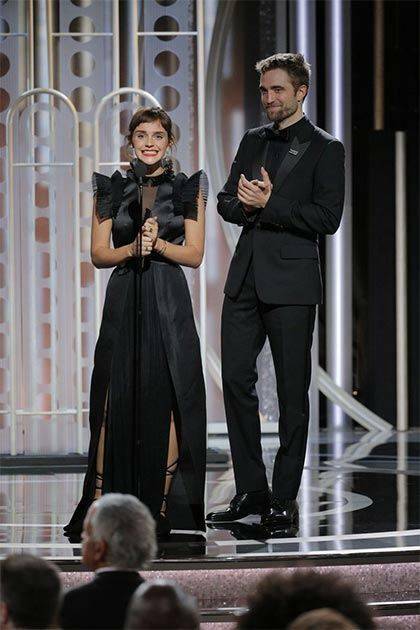 Emma Watson and Robert Pattinson had their own magical reunion while presenting for Best Television Limited Series. Okay, somebody accio me some tissues.